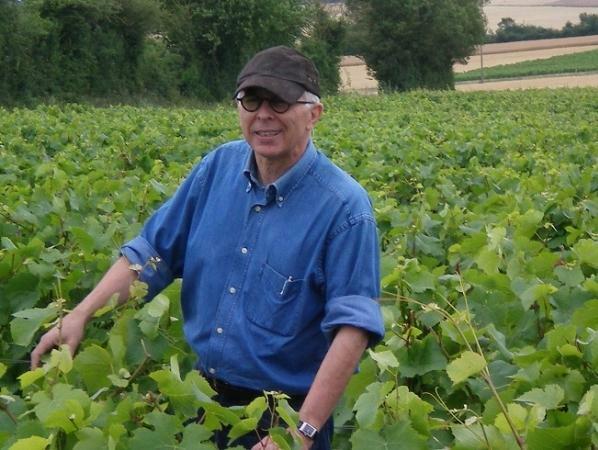 "Located 30 kilometers northeast of Sancerre in the village of Aligny-Cosne, Maison Foucher is a "Petit Négociant" with a mission to craft classic expressions of Loire Valley appellations at exceptional values. The estate was founded in 1921 by Paul Lebrun, a cooper by trade, who developed his company servicing a clientele made up of restaurants and cafés in the Loire Valley and Paris. During the 1950s, Paul's son-in-law Raymond Foucher took the reins and then in 1985 passed the baton to his son, Jacky Foucher. The first wine in the lineup is a Touraine Sauvignon made from grapes sourced from vineyards at the frontier of Touraine and Haut Poitu. It is a succulent, zippy Sauignon whose name "Petit Le Mont" refers to the baby sister role it plays to our perenniel favorite: Sancerre Blanc Le Mont. The grapes for both the Sancerre Blanc and Rouge are sourced from the villages of Sancerre, Chavignol (near Mont Damnés) and d'Amigny. The vines that contribute to the Chais Saint Laurent Chinon Rouge and Rosé are planted in clay-limestone parcels and sandy riverside parcels in the villages of Rivière, Beaumont-en-Véron and Savigny-en-Véron. The entire lineup offers a truly remarkable price/quality ratio and displays a balance and delineation usually found in much more expensive appellation wines. If you aren't buying and drinking these wines, you are missing out!"